Magmatic, the Bristol-based company behind the world famous kid’s ride-on Trunki suitcase are probably just as famous for their rejection in the Dragon’s Den in 2006. 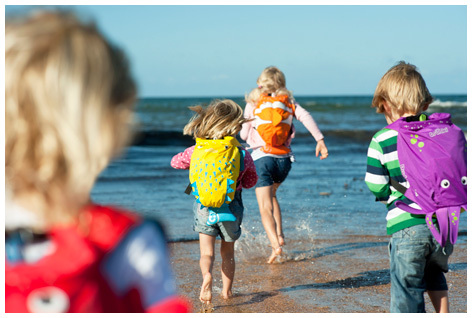 Refreshingly, the company continues to grow with a series of innovative and practical children’s products. With clearly stated promises to never lower the quality or safety standards, and to always put kids first, Trunki travel products are literally sold by the millions all over the world. In addition to the suitcase, parents can even buy their kids a Trunki Travel ToyBox with a clever lid that flips over to reveal wheels that make it into a sit on trolley! Even better, they can be joined together to make a train! The innovation goes on and on with items like the BoostApak. This is the worlds first kids car booster seat with a built in storage container for the all important toys. When out of the car it has handy straps for wearing like a backpack. The Trunki Yondi travel pillows for kids are specially designed to support young necks and heads when they just can’t stay awake in the car, train or aeroplane. Mums and Dads also love the GoVinci rucksack that doubles up as a drawing table for when doodling takes priority! 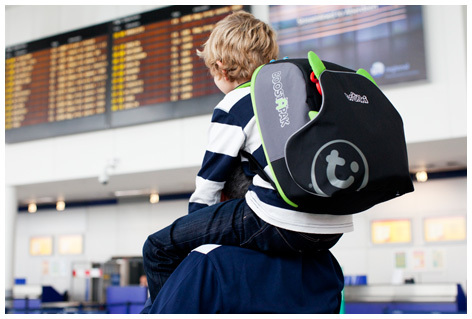 Kids have never had it so good with Trunki’s travel products, and with plenty more ideas on the drawing board the Dragon’s Den investors must be kicking themselves for letting this one get away.